Built out of native log pole and reclaimed barn wood. Each 8 to 10 inch log is 80 to 100 years old. The reclaimed wood was from a barn about 100 years old. 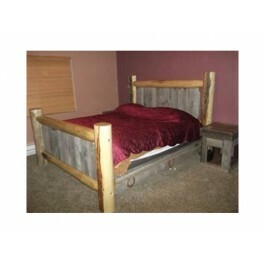 Hand made bedroom sets. Ships from Wyoming. Various sizes available.